Carrying on the Volkswagen reampping theme, we had this great example of this Scirocco in for a stage 1 remap. This 2.0tdi engine has been tried and tested in the VAG range, and we have lost count of remaps we have completed on these engines. With stock power of 140bhp and 236bhp, we knew there is room for improvement, given the results on the dyno. However we took this opportunity to add a Ramair Air filter. This is substantially thinner than standard and can add at least an extra 10bhp. 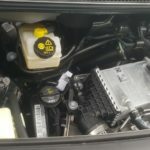 Tuned map after writing should produce 195bhp and 285lb ft.
We also took the opportuniny to blank the EGR valve off in the ECU, to prevent any future problems. Please note this was for a stage 1 remap, there are 2 further stages available with correct supporting modifications, to take power up to 240bhp. On vehicles fitted with DSG boxes, we can also tune these to improve response times, advisable for stage 2 and 3 only. 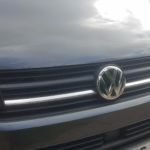 We recently had a lovely paid of VW commercial vehicles in for remapping at Tuning Emporium. First up was a T6 2.0 tdi 150bhp with DSG gearbox. This had already been bedded in. With our professional tuning equipment we have yet to see a dealer pick up traces of our work. 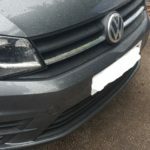 We do however always keep the original map on every vehicle we tune, should the owner wish to put it back to standard. As you would expect no faults came up on our VCDS system, so it was safe to write a new map. Stock power is 150bhp and 250lb ft. Tuned should be 185bhp and 302lb ft.
Mpg has also improved by 10% at present, again meaning this remap will pay for itself in the long term. Next up was a 2.0 caddy with stock power of 102bhp and 184lb ft. Tuned should be 185bhp and 272 lb ft. Both vehicles were transformed after the tune, the Caddy in particular, due to been lighter. 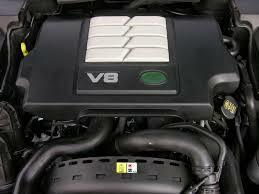 To see how we can help you improve your VW’s performance and economy, contact us for more details. Its all very well having a little bit more power for your pride and joy, but why not go a little bit further and protect by fitting a tracker. Here at Tuning Emporium we supply and fit Skytag Trackers which hold the record for a car been reported stolen, and been recovered of 11 minutes. TDV8 fitted with Skytag Tracker, and now with a stage 1 remap with 10% better fuel economy confimed by customer. Skytag GPS tracker is a proven, comprehensive stolen vehicle location service that can locate and track your vehicle anywhere in the World, within metres. Our Monitoring system is the only system to provide direct Police access to live, real time location data. This unique feature speeds up the recovery process and enables the Police to monitor the vehicle from a distance, reducing the chance of a high speed chase and damage to your vehicle. Standard service plus active movement alerts. “Leisuresafe” is designed for leisure vehicles which are used 2-3 times a week, “LeisureSafe” is fully automatic with no requirement to remember to turn on or off. 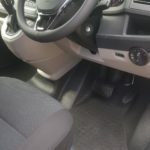 A bespoke zone is created where the vehicle is normally stored. If the vehicle moves out of this zone during the protected hours, alerts are sent direct to your mobile phone, your landline, text and email. “NightSafe” is designed for everyday use vehicles where you need protection during the vulnerable night hours. Using a zone similar to “LeisureSafe” the system alerts leaving the “Safe Zone” during the armed period. Discounts availabe for fleet or multi car book bookings, and with remapping/tuning of vehicles too. Whilst this car might not have a turbo attached to it, there is still a little room for improvement. What this car lacks for in BHP, makes up for it, with lightness and great handling. In stock power guise, the 2.0 skyactive engine, produces a very reasonable 158bhp. After checking vehicle for no faults, we proceeded to write this little sports car a bespoke stage 1 map, whilst fitting a performance panel filter too. Just look at the difference in thickness or should that be thinness. Whilst still having a filter, but allowing greater air through to not only aid MPG, but also MPG, working very well in conjunction with a bespoke map. The end results from the remap should be generating an extra 15 to 20bhp over standard set up. End result, a happy customer. 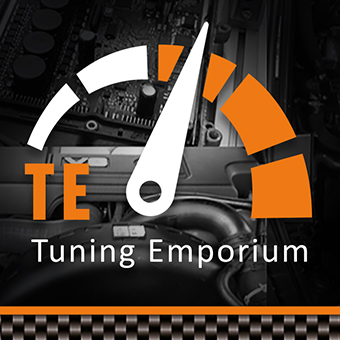 Tuning Emporium only tune a selection of normally aspirated engines, a lot comes down to “Will the customer notice it”? question being asked. If it’s a light vehicle, like here, then we will undertake the tune.